Minnie Dlamini: Becoming Mrs. Jones is a South African three-part wedding special documentary produced and packaged by Gravitate and Beautiful Day Productions as an M-Net Original production for Vuzu Amp. 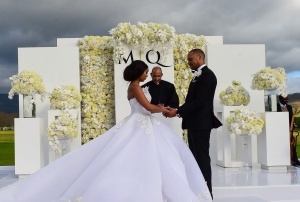 The documentary follows Minnie Dlamini's prenuptial journey and marriage to Quinton Jones. This page was last edited on 7 August 2018, at 20:39.